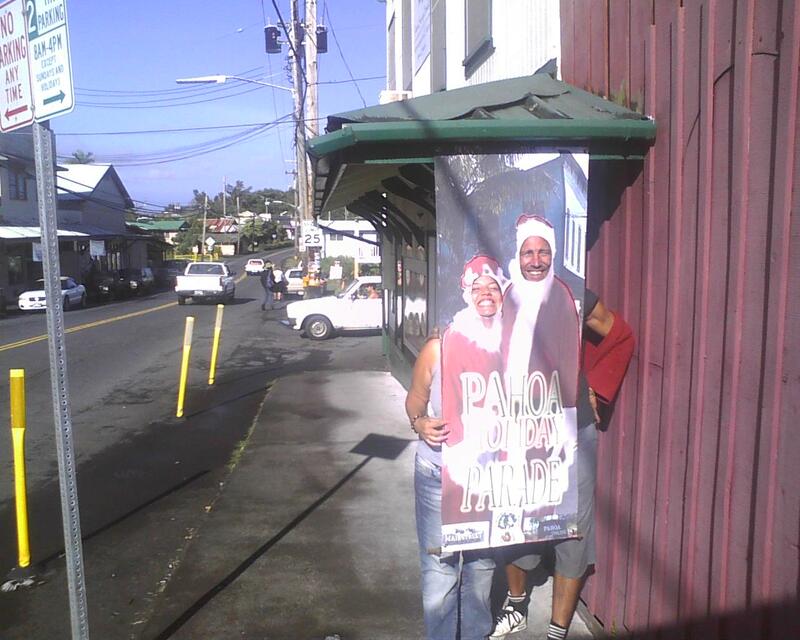 This one is zack and janice in front of marys bookstore across from cash and carry. Next saturday at 10 o’clock this will be the location of the parade judging area. The poster will be available for photo ops all week long. If you subscribe to one you will be entered to WIN!